6-8" spears of bright powder blue/lavender above slender silvery green foliage. The closest to a true blue Buddleia we've found to date. Spring/Summer Care: Light summer pruning and nutrition extends bloom to later fall. Otherwise, prune anytime. Autumn/Winter Care: Shear back in late autumn if you wish to keep size under control. 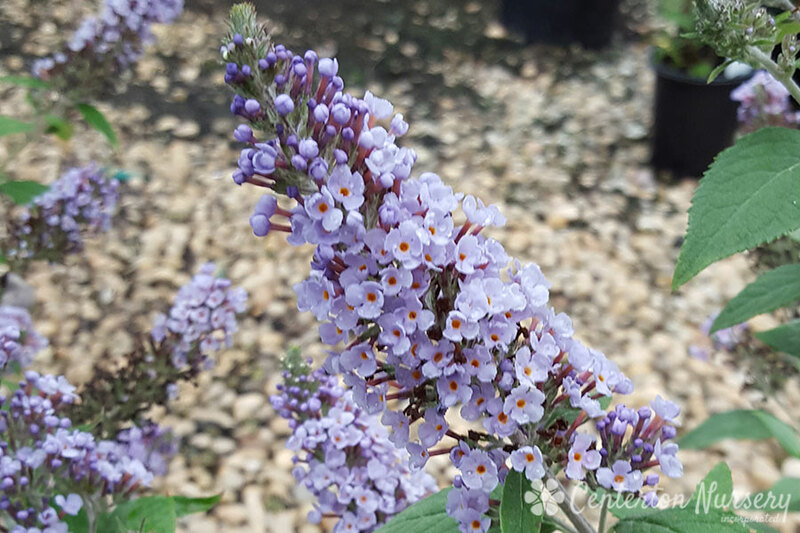 Fertilizer Needs: If you soils are high in organic matter, you may not need supplimental fertilizer on Buddleia. Otherwise, apply a balanced fertilizer in late spring.